effort should remain within reasonable limits. FLOWave indicates its device status at every time with a light being related to Namur NE107 definitions and does not require maintenance activities. Both allows to shorten downtimes resulting in remarkable lifecycle cost reductions for users. 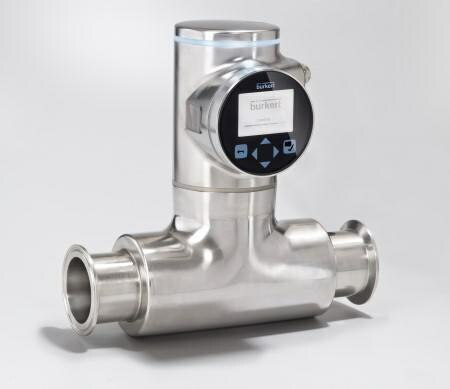 With this in mind, Bürkert set out to find a technology that would take account of all that and offer significantly more value to users. We believe that the new Surface Acoustic Wave Technology (SAW) fits the bill. The flowmeter relies on the propagation of waves for measurements, being similar to those present in seismic activities.